The Channing trophy buckle is a popular order. This buckle has a jeweler's gold border with a black finish. The four corner stones are interchangeable with any stone you would like. The lettering and engraving of the buckle are standardized with jeweler's gold but this buckle looks great with German silver engraving or any of our designer letters. 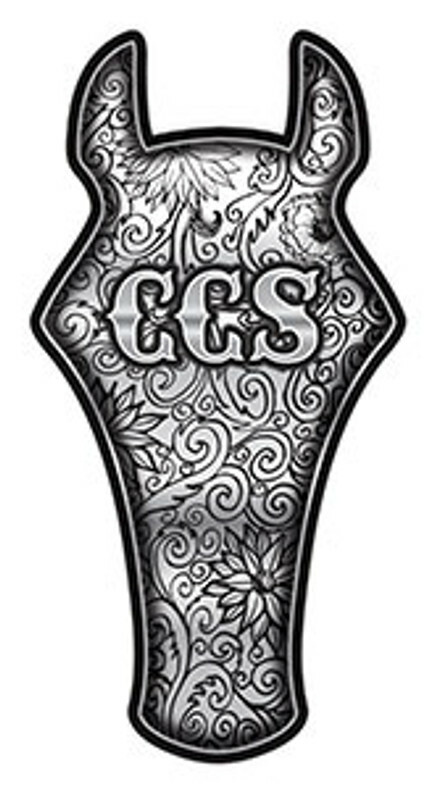 We are always more than happy to create a sample buckle or outline for you if you would like to get the idea of the buckle before you place the order. If you would like to see the different types of lettering, borders, and stones we offer for your customization Click Here.